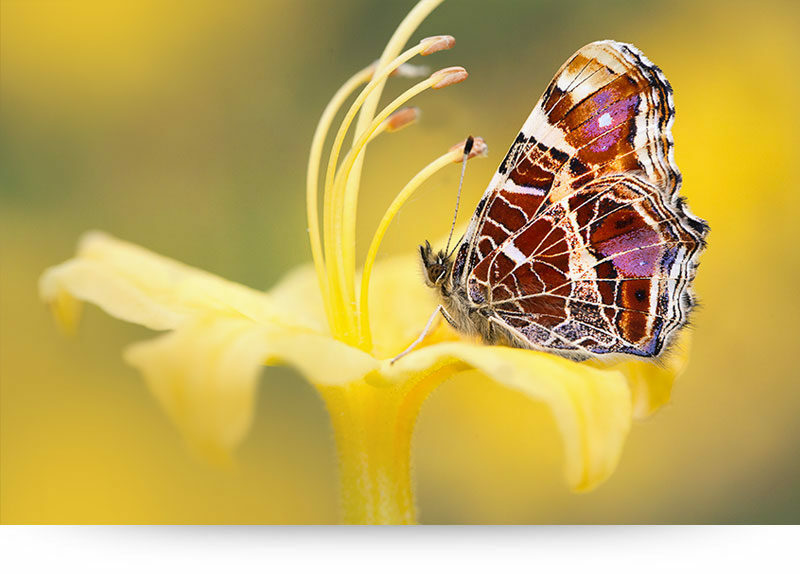 Butterfly canvas prints bring the bright colors and liveliness of nature into your home. 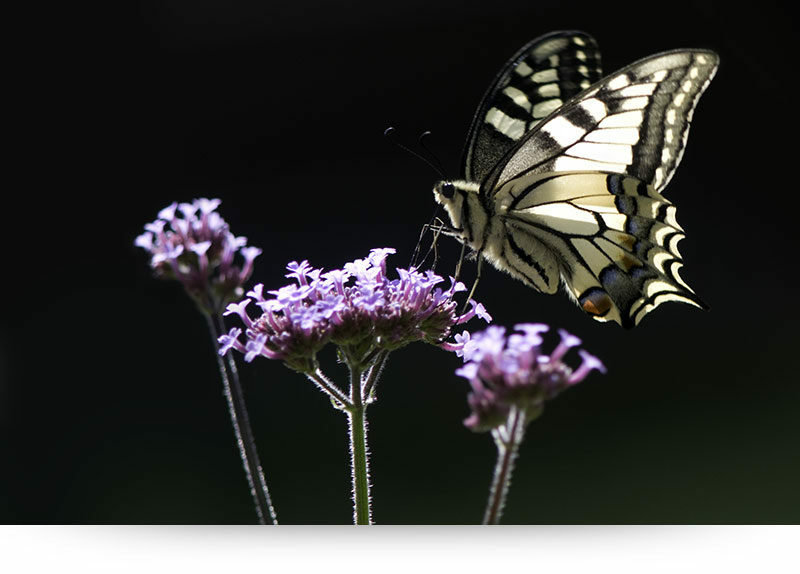 Butterflies are like flying flowers! 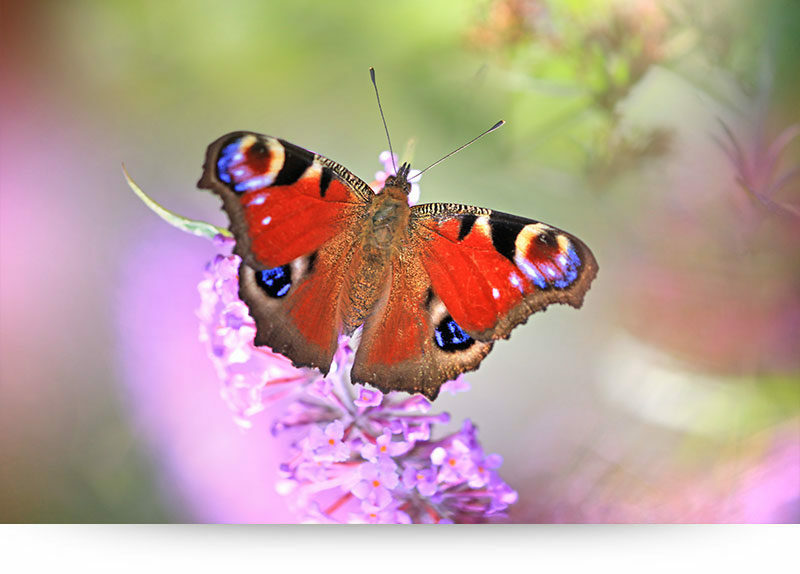 Their amazingly designed wings flash in the sunshine on hot summer days, making our gardens come alive with a sense of joy and freedom. 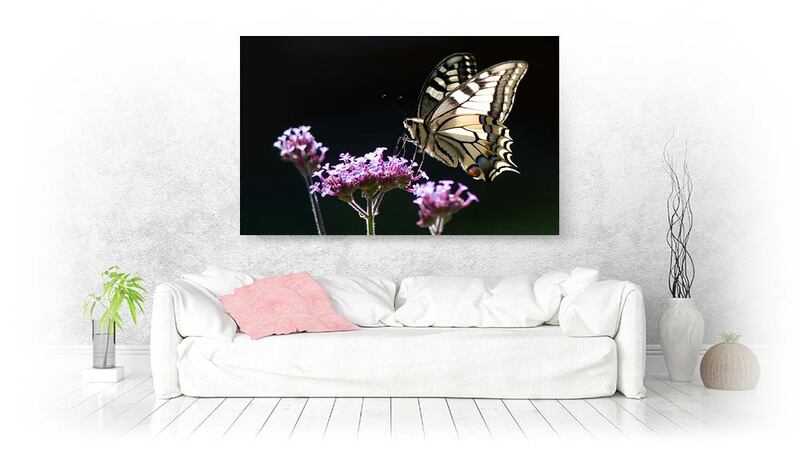 Now you can bring these beautiful butterflies into your home, with these canvas prints or fine art prints. They are exclusively created by nature photographer David Sorensen. High quality printing, deep colors, secure payment and fast delivery, with a 100% satisfaction guarantee. 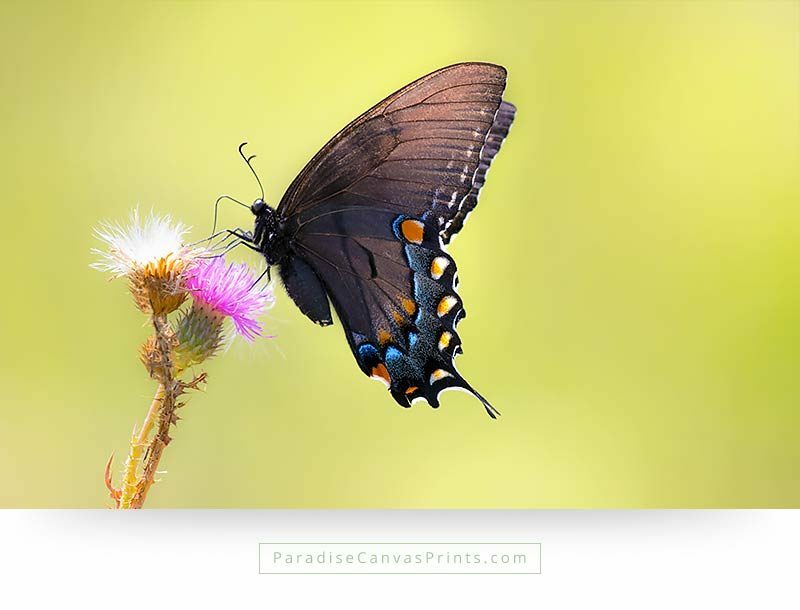 A black Tiger Swallowtail butterfly on a thistle, with a blurred out green background. 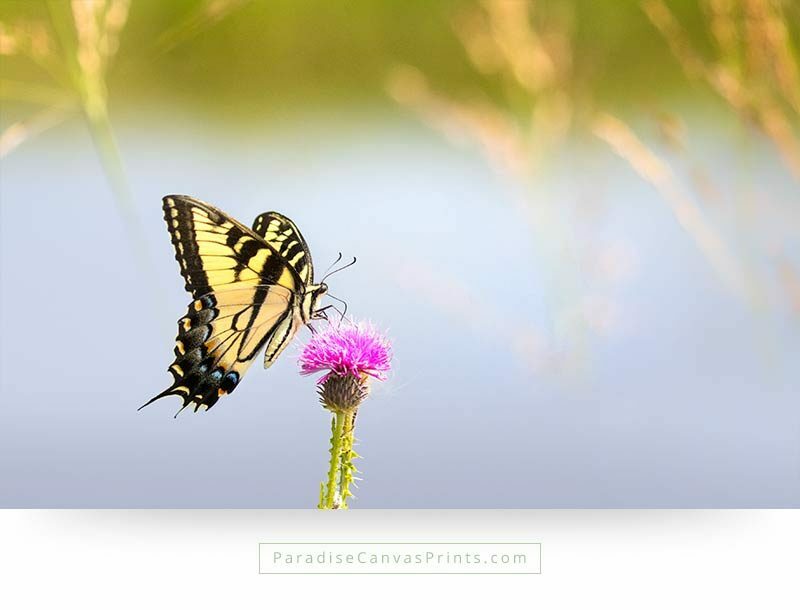 Bring Paradise into your home, with this beautiful canvas print. 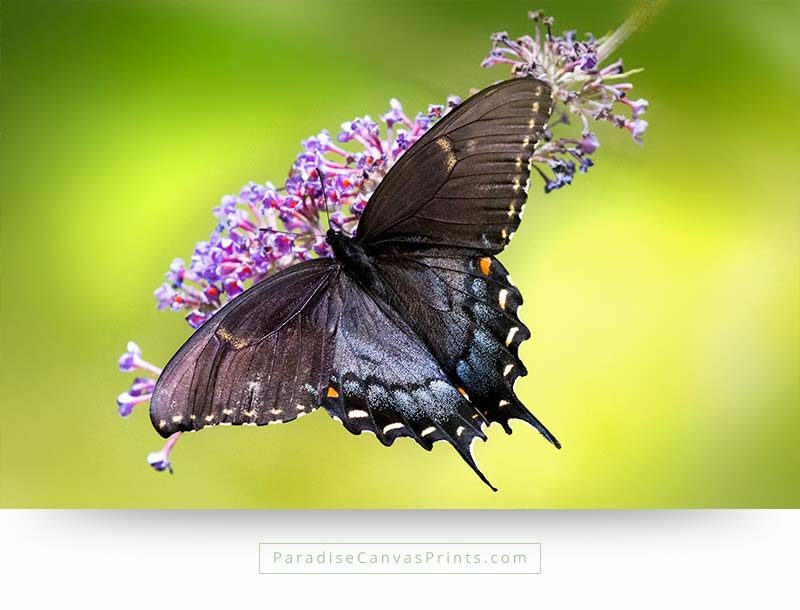 Shining black Tiger Swallowtail on the blossoms of a butterfly bush, with bright green background. Photographed in Virginia, USA. Common brimstone butterfly on a purple butterfly bush. 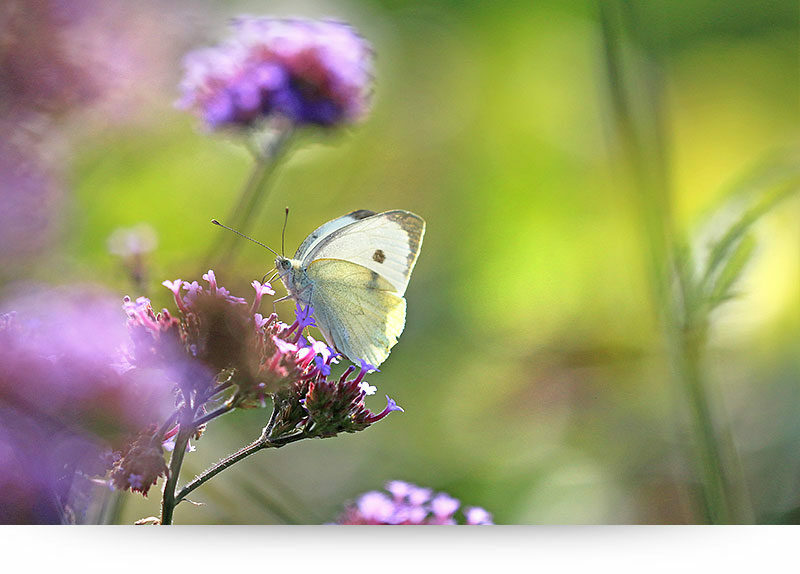 The warm sunlight illuminates it’s green wings, making the butterfly stand out beautifully on the soft green background. Bring this beauty in your home, as a canvas print. 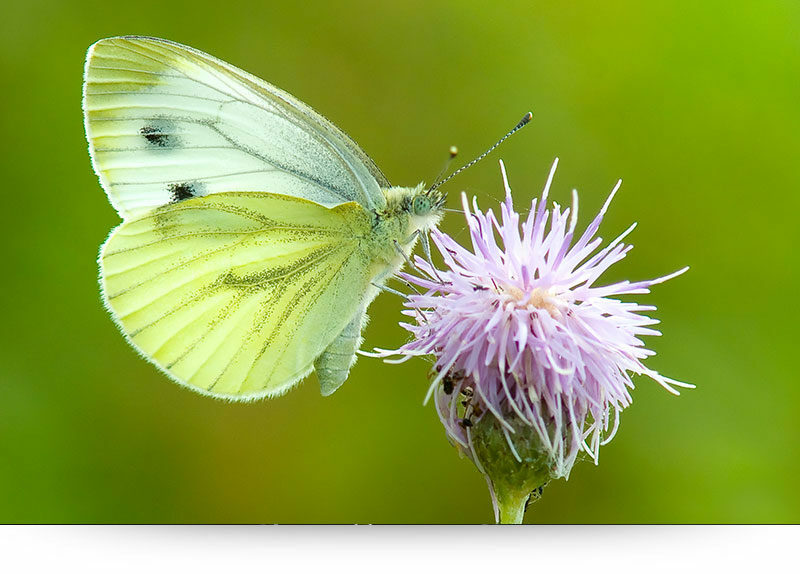 A stunning Tiger Swallowtail butterfly on a purple thistle. 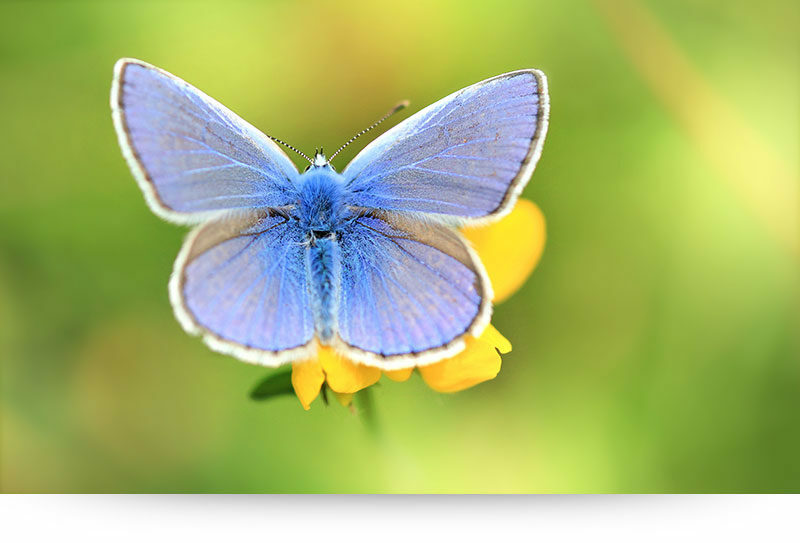 In the background is the faded blue of a pond in a meadow. 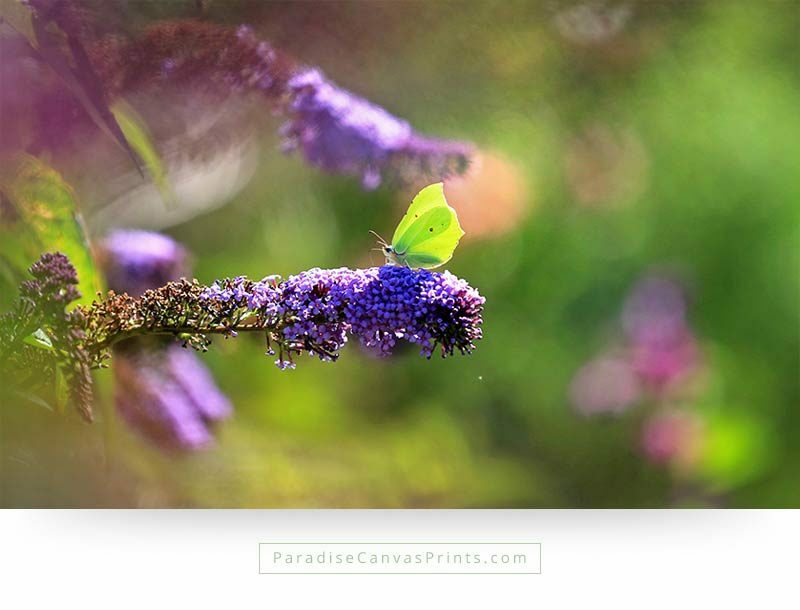 Bring Paradise into your home, with this beautiful canvas print.